The MAX1 car parking system is an automatic parking system with horizontally and vertically movable parking spaces. Two cars can be parked on top of each other. However, a pit is required. 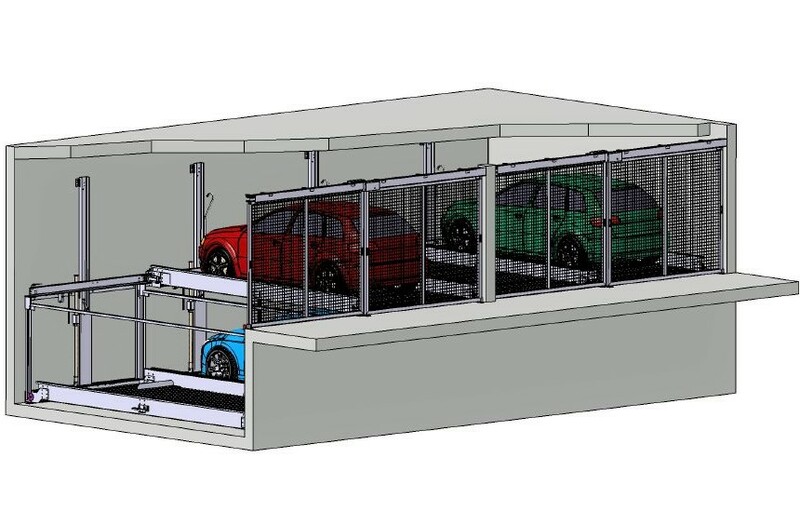 An empty space allows the selection of each car in the parking system: so the cars can be parked independently of each other. In principle, the parking system is particularly suitable for very low room heights. 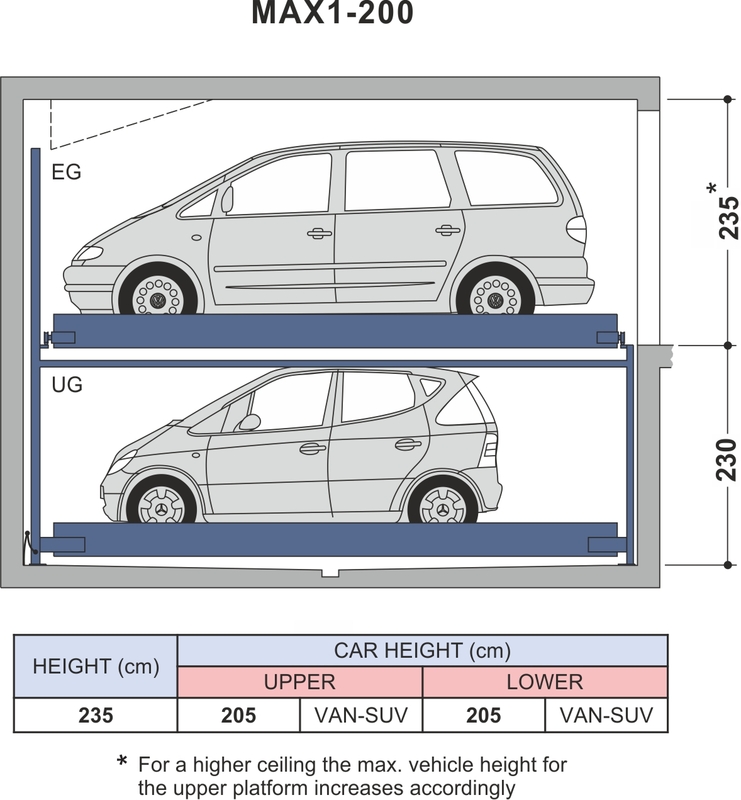 The system is secured by gates and offers space for 3 to 29 vehicles.